Three to five times a week I engage in an intense physical fitness program, Crossfit. This program demands every ounce of mental and physical focus I possess. 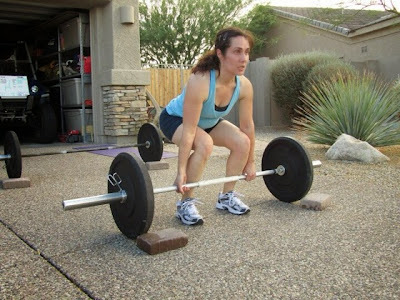 The 'Workouts of the Day' (WOD's) are usually not very long: 5 to 25 minutes long, sometimes shorter, sometimes longer. 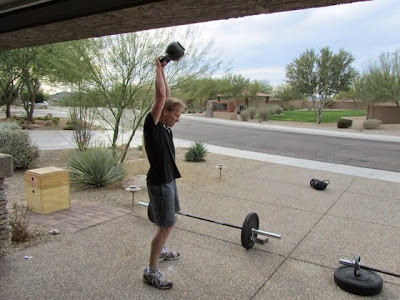 But each WOD is different, constantly varied, functional movements at very high intensity. The results have been dramatic: significant (healthy) weight loss, impressive strength gains. And I have never before felt more fit, healthy and happy. Interestingly, however, over the last couple months my performances has declined. This decline can be directly and clearly traced back to my diet and sleeping habits. As I have become more fit, it is immediately noticeable when I veer away from my healthy habits. In the past, I could go multiple nights on 4 hours sleep and carb load. I was in a state of maintaining my illness, with included occasions of severe cold, flu or sinus infections. I no longer get sick or am constantly fighting of a cold, the flu or anticipating that yearly sinus infection. My healthy habits are a JOY to follow, never boring or feeling like I am missing out. Yes, I still enjoy my occasional apple fritter or other choice of “poison,” but after a few bites, I am completely satisfied. There is little to no desire to indulge beyond healthy portions. When I do, it’s because I allow habit to take over or am compensating for a lack of sleep. Sleep deprivation is an enemy to physical and emotional control. Caffeine and sugar are an artificial and immediate but poor and dangerous compensator for sleep too. But before I diverge too far from the point, I have found a few parallels in my fitness and spiritual journey with the scriptures. It has been much more effective to have sort meaningful scripture study than long indulgent “scholar”-type readings. This could be seen as the “holiday fitness” approach; you know, the-day-after-Thanksgiving-or-Christmas-you-go-and-try-to-burn-off-all-the-calories approach to study. Fitness and scripture study don't work that way. It’s the constant meaningful, joyful and personal sessions with the scriptures that work, whether that means 5 minutes or 50 minutes. Like being healthy, I know immediately when I have neglected my meaningful scripture study. I long for it, crave it and find a way to incorporate it into my day. I feel and think clearly. However, if I neglect my studies too long, one more day doesn't seem to matter. I find my avoidance behavior increasing. Also, like working out, the longer I avoid my studies the more difficult it is to get back into it. I have found there are types of quick "fixes" for missing meaningful scripture study that I can become reliant on: music, motivational talks, inspirational quotes and the quick one verse to make sure you get your good thought in for the day. It’s just like caffeine and sugar, neither are bad, but if used as a substitute, they are habit forming and dangerous. There is no substitute for frequent meaningful scripture study. You cannot “make up” for lost scripture study and spiritual fitness. Make a plan and track your progress. Realize it WILL be difficult starting or restarting a new way of life — that's right, a new life. Be careful to not view your spiritual progress like some unfortunately do with healthy living. Don't go on a diet; make a life change. Make a spiritual change.